Welcome to the Global Animal Protection Society! An orphaned baby orangutan sits waiting to be fed in an enclosure that is crowded. The care center only has enough resources to either feed the baby or build a bigger home. An orphaned baby elephant trumps, but is it in anticipation of being fed or because it doesn’t have enough room to be comfortable? Again, limited resources force the care center to either feed the baby or build a bigger enclosure. An orphaned lion cub gives a great roar, well a great roar for a cub but more of a meow. Is the call in anticipation of being fed or a warning to the other cubs that it needs some personal space? Once again limited resources force the care center operator to choose between feeding the orphans or building a bigger home. Everyday this scenario plays out at animal care centers around the world. From Borneo to Africa, directors must decide how best to spend the limited resources they have. 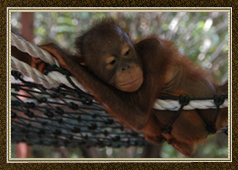 Just like Charlie at the Orangutan Foundation International’s care center in Borneo these orphaned babies must be; housed, fed and given health care. And more are arriving everyday! 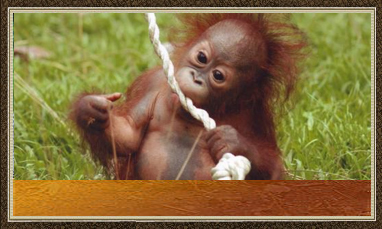 In Borneo the orangutan’s habitat is being slashed and burned for plantations. The parents are killed by plantation operations and then the babies are left to die or rescued like Charlie. In Africa adult elephants are killed for their ivory and then the babies are left to fend for themselves, the lucky ones are rescued. Enter Global Animal Protection Society (GAPS), A 501(c)3 Non profit dedicated to saving endangered animals throughout the world. Through our efforts, we play an important role in Building, Enrichment, and Education! Our goals allow us to learn more, be more effective and teach others the importance of caring for animals worldwide. We are a group of people who care deeply about all animals, and especially about caring for those who are slipping through our fingers and are endangered.